A few months ago I was enjoying an informal breakfast with a few outstanding young Roshei Yeshiva and otherTalmidei Chachamim. They were quizzing me about what my great uncle, Reb Elya Lopian z”tzl, was really like as a person. I have been blessed with Torah giants as mentors, and in a way Reb Elya was one of them. Reb Elya was not only the Rebbe and mentor of my father z”tzl (who was my primary Rebbe), but I too had the privilege of learning directly from him, observing him from close quarters and beingmeshameish him for a few years during my time in Kefar Hassidim first when I was just 14, and later again in my eighteenth and nineteenth years. The well-known stories about Reb Elya are well documented in the introduction to Lev Eliyahu and the Artscroll biography. They include his famous interaction with Eliyahu Hanavi (the prophet Elijah) about which the world would never have known were it not for the Gerer Rebbe z”tzl revealing it to Reb Dovid Mishkovski z”tzl, brother of the Kefar Hassidim Rosh Yeshiva. I was not being asked for stories at the breakfast. I was being asked what he was like as a man. I had to explain, that what stands clearest in my mind, is that Reb Elya did not strike us as a man at all. It was immediately clear to anyone who encountered him (at least in that stage of his life) that this was a being of a different species: neither Mal’ach(angel) nor man, but an Ish Ha’elokim (Man of G-d). I use the term “different species” advisedly, for my encounter with Reb Elya Lopian (whom I first met when I was a boy of 10) clarified the literalness of chazal’s intention in Shabbat 112b: “If the earlier generation is like the children of angels, we are the children of mortals, if they are mortals, we are like ordinary asses.” Chazal intend to communicate that the distance between the generations of Torah giants is not a linear distance. This is not a distance that can be traversed even with massive effort. It is a gap that cannot be closed; because it is a qualitative gap not a quantitative one, a gap between species not between different levels within one species. This species differentiation affects the way we understand and interpret prior generations. Perhaps even more, it confirms to us that we lack any instrument with which to interpret them at all. If psychologists tried to understand what drove people like Reb Elya using any of the available behavioral models of motivation, they would draw a blank. Ego and personal aspiration were clearly non-existent in his world. He linked into cosmic forces, global human needs and the national eternal needs of Am Yisrael in ways we cannot fathom. He was not confined in the forces that drove him, by the space or the time in which he lived. I recall so clearly only a few years before his passing, how he got up in the middle of aseder (study session) in the Yeshiva one evening and spontaneously started sayingKaddish. The whole Yeshiva stopped learning, stood and answered his soul-wrenching Kaddish. No one knew what caused him to do this, and yet not a single person suggested it was the beginning of senility. We sensed we were witnessing one of those cosmic moments we would never understand. Several hours later the news came through that the Syrian Air Force shot down two Israeli fighter-jets, not very far from Kfar Hassidim. The pilots were killed. The time of the incident: exactly as Reb Elya was reciting Kaddish. Even in his 90’s he had phenomenal physical strength that could only have come from his even more phenomenal power of concentration. He would sit for hours on end focused on a daf gemarrah. I brought him into the Beis Hamedrash one afternoon. He was very old and needed to lean on my arm as we walked from his house to the Yeshiva and up the steps to the Beis Hamedrash. As we walked in he saw a sefer on a table near the entrance. He seemed to be interested and opened it. He bent his knees (refusing the chair I offered him) so that his eyes were closer to the sefer on the table. He stood still in that position completely engrossed in the sefer for well over an hour before he made his way to his seat at the front of the Beis Hamedrash. Harav Simcha HaCohen Kook Shelita told me a couple of weeks ago how moved he was as a child when he saw Reb Elyah (visiting at Chevron Yeshiva soon after his arrival in Eretz Yisrael) concentrating motionlessly on a piece of gemarah for more than four hours, on a fast day. Reb Elya would almost always fast every Monday and Thursday (to focus his Tefilah on Kelal Yisrael), but kept that fact as private as he possibly could, and would resist discussing it. Hearing his awe-inspiring Kerias Shema or his chilling Tehillim changed the way youdavened forever. Hearing him learn the Mesilas Yesharim aloud, (as he often did,) changed your life forever. He also changed our lives as a profound educator. The Yeshiva’s social structure revolved more around the division of the students intoMussar Va’addim than it was around the Gemmarrah Shiur you attended. There were only about 15 young men in each va’ad (at that time there were less than 100Talmidim in the whole Yeshiva). Each va’ad met with Reb Elya once each week or two. The sessions were intimate. He encouraged us to keep journals of our spiritual growth. Each week we would work on a specific character trait, habit or practice. He directed us, encouraged us, and advised us on personal issues that we felt comfortable enough to raise. Then there were the general shmuessen that he would deliver once a week to the whole Yeshiva, usually on Motzei Shabbas. These were seldom tape-recorded as he insisted that we extend Shabbos until after his shmuess when we davened ma’ariv. I can find no words to adequately convey the dramatic power of his shmuessen. During my first weeks in the Yeshiva I understood too little Yiddish to follow the content of theshmuess at the time he delivered them. (I would review the shmuess with an older boy later that night to grasp its content and reflect on it). I have to say though, I was more deeply and permanently moved by the presentation I didn’t mentally understand than I was even by the content later on. 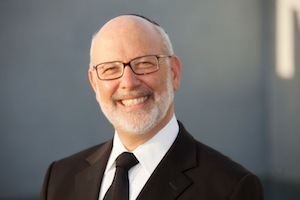 You didn’t need to understand: Reb Elya was a world-class communicator and orator, and he communicated with entire being and the compelling force of his soul. He didn’t need words. His shmuess’en were works of dramatic art quite apart from their profound intellectual, ethical and spiritual depth. His shmuessen were long, but every person sat on the edge of their seats enraptured as they were transported into another realm. Lev Eliyahu captures some of the meaning of his shmuessen, but cannot do justice to even a fraction of their impact. It was hearing his penetrating voice, seeing the image of his holy face, watching the movements of his hands and the expressions he used that made the experience so utterly indelible. During his time in Israel he focused on teaching Musar and was one of the greatMashgichim of the times. But before he came to Israel he was a Rosh Yeshiva, first in Eastern Europe and then in London. He was a master of Shas and new it with all the classical Rishonim and Achronim. Once, he was asleep in his room, or so thought the two young men learning a Ketzos Hachoshen in the next room. The two of them were arguing about the peshat in the Ketzos. After a while he emerged from his room and said to them: “you are disturbing my sleep; not by the sweet sound of your learning Torah, but by your argument. You are both wrong. Allow me to learn the Ketzos with you and explain the peshat to you!” However in Kefar Hassidim, the teaching of Gemmarah was the domain of the very much younger Rosh Yeshiva, my Rebbe, Reb Eliyahu Mishkovsky z”tzl. Reb Elya would never ever demonstrate his mastery or interfere in that area. He always showed the Rosh Yeshiva enormous respect and treated him with great honor. That was his way also with the (at that time) young assistant-mashgiach Harav Dov Yaffe, who he was mentoring. On occasion Reb Dov would deliver the shmuess. When that happened, Reb Elya would sit on the benches listening attentively to every word of Reb Dov as if he were one of the students. How different from the sight we sadly see often nowadays of Rabbonim learning, speaking to others or eating while their colleagues are delivering addresses. Being an Ish Ha’elokim did not diminish Reb Elya’s humanity. He would often walk up the long path and steps to the Yeshiva to turn out the lights if he thought the boys were learning too late. We in turn, politely waited for him to get back to his house and turned the lights back on again to continue learning. Of course that meant some of us found getting up for minyan the next morning a little strenuous! There he was again, the Ish Ha’elokim, banging his walking stick on the tiled floor as he walked the corridors of the dormitory urging everyone to get up to commune with Hashem in theBeis Hamedrash. He would enter the bedrooms and caringly tickle our faces with histzitzis to wake us up. Imagine the feeling: an irritation at your ear, a fly perhaps? Why doesn’t it go away? Open a weary eye. You follow the tzitzis up. Oh my goodness. No fly. An angel of G-d has come to call you to daven. The mail used to be delivered to his house before it was handed out to us at lunch-time. Often, he would go though the mail and notice a letter addressed to me from my parents in South Africa. He would come to the Beis Hamedrash, interrupt my learning to hand me the letter, ask me to read it while he waited, and then he would check with me that all was well at home. One Friday night Reb Elya heartily complemented the Rebbetzin Simonovich (sister of the Rosh Yeshiva and widow of its founder, who used to take care of him) on the soup she had prepared for him. When she was out of the room, I asked whether something as “materialistic” as chicken soup was really that significant to him that his complement to her was sincere, or whether it was just out of politeness and concern for her dignity that he did it. He patiently explained to me that “Kol hagadol michveiro, yitzro gadol mimenu” (Sucah 52a - the greater a person the greater is his passion) should be understood absolutely literally. As one gets older he explained, if one is growing in Torah and Avodas Hashem, one does not lose ones capacity to enjoy physical pleasures. On the contrary those pleasures are sharper and richer than they are for someone less evolved. It is only ones capacity to remain unattached and unaddicted to those pleasures that differentiates the greater person from one who is as yet unevolved. One Friday before I went into Haifa on some errands I checked in with Reb Elya and the Rebbetzin to see if they needed anything from the city. He looked at me in total astonishment and asked if I was not afraid to go into Haifa. I became perplexed wondering if there had been some bad news from the city. He saw my perplexity and explained: “I am 90 and only have sight in one eye and I am afraid of the peritzus(immodesty) in the city. You are a young boy with all your faculties and you go into Haifa with no fear at all?” Being an Ish Ha’elokim did not remove him from the realities of life and its passions. Yes. I had the unique good fortune to learn from an Ish Ha’elokim, observe him from close quarters and be meshameish him. As I have said, only a few of his Shmuessenwere recorded and I have had them for many years. While a book conveys the content but none of the drama, the tapes convey a little more of the total experience. I am happy to use our website to make these recordings more widely available. Even if you do not understand Yiddish listen to them as you would listen to music, for the power of Reb Elya was only part in the left-brain meaning of his thoughts. Most of it was in the right-brain experience of his oratory. Enjoy, and be moved. New Age Spirituality and Reb Elya's Mussar "Happiness is not about how much you have, but abo..
Reb Elya Lopian z”tzl Ish Ha’Elokim Personal Recollections of Rabbi David Lapin Ada..
Reb Elya Lopian z”tzl Ish Ha’Elokim Personal Recollections of Rabbi David Lapin Adar, 5768 A..